In my effort to organize my kitchen, and my life, I am slowly but surely creating a command center with everything my family needs and uses in one handy place. 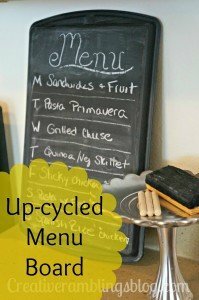 Last week I made this super simple menu board out of a cookie sheet. It is displayed in my “command corner” visible from most of the main floor of the house. My husband likes knowing what’s for dinner before he leaves for work, and I can glance at the week as needed. So it’s working well. 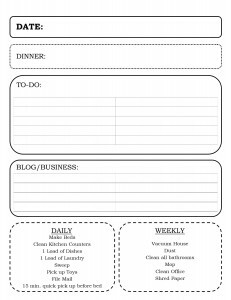 Now I need a place to keep a grocery list and daily to do list. I’m a list maker, always have been. 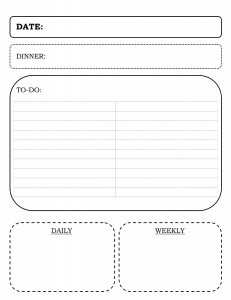 I use an electronic calendar and love that but I need a piece of paper for daily tasks that have to get done. What usually ends up happening is I write notes on multiple sheets of paper that get lost. This tends to happen with the grocery list too. Here’s my simple solution. I was at Target looking for a clipboard to hang on the wall near the menu board, this would house a daily to-do/grocery list. Then I saw this, how cute is this! 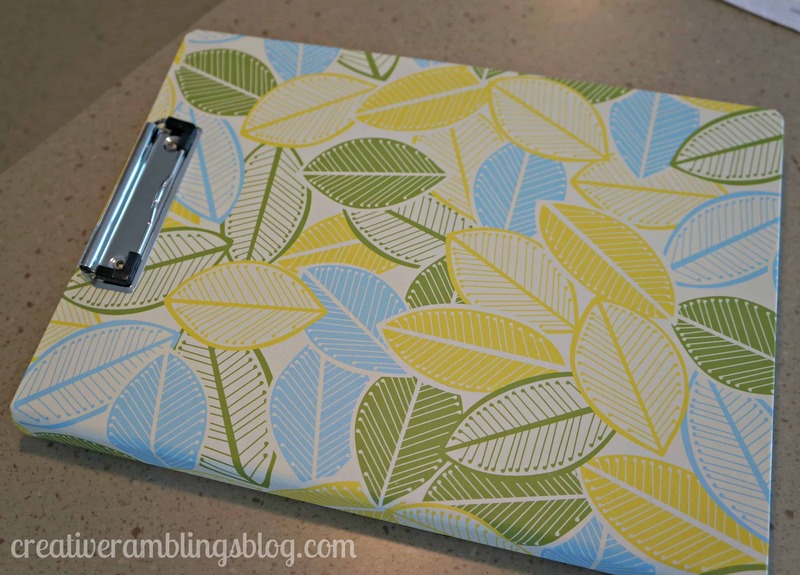 A binder with a clipboard on the front. This is next to our charging station and menu board; my new “command corner”. I keep a pen inside and a running grocery list. And it’s big enough that I can’t lose it! The clipboard holds my daily check list. 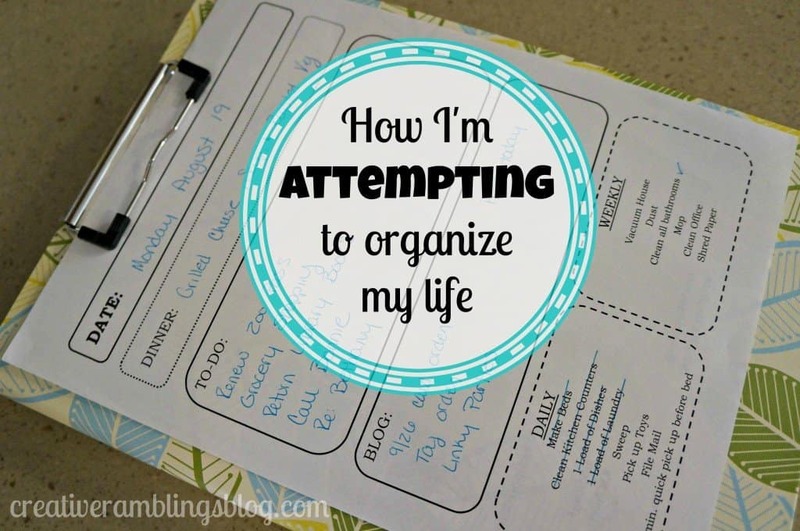 I browsed around for a while looking for the perfect daily check list to organize my little scraps of paper. I found one from The Creative Homekeeper that was laid out nicely, and I decided to put my own twist on it. 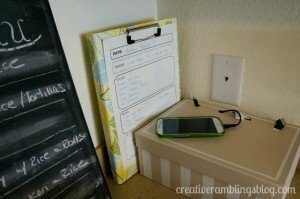 Her post on keeping a clean and organizing home is really inspiring, you should read it. My list has a place for dinner so I can jot down notes I need to prep and cook. 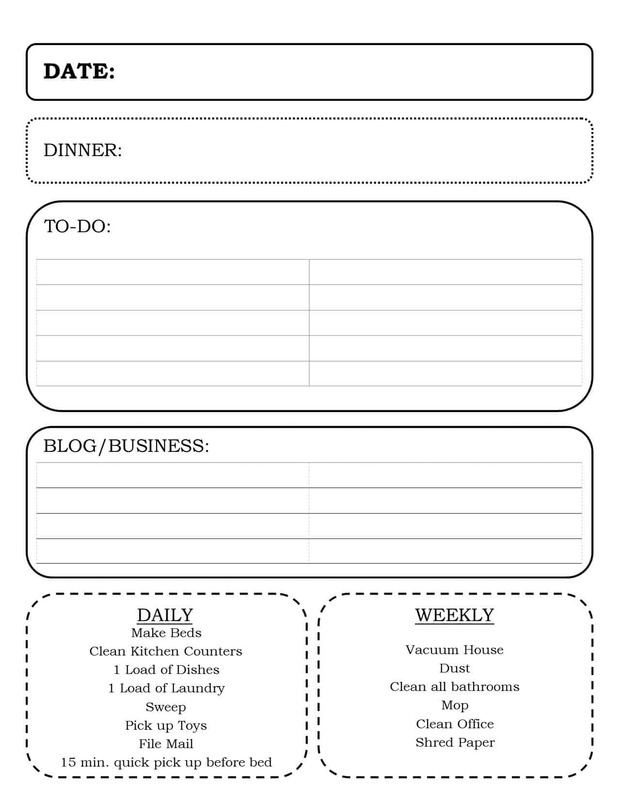 I’ve got 2 areas for tasks; 1 for personal household items and one for my blog and business. 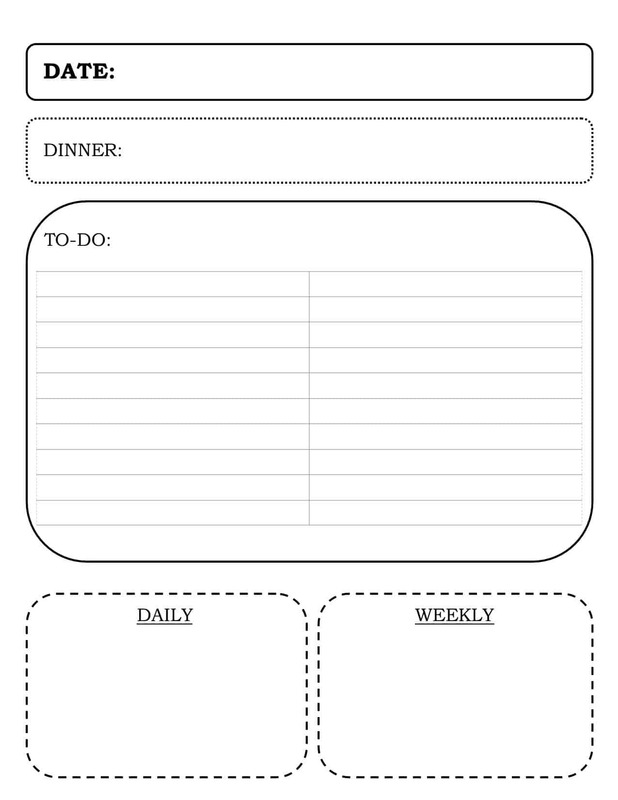 Below that is my favorite (kind of) part, a place for daily and weekly tasks (i.e. house cleaning). These are the things that I typically “forget” about until after dark when I’m too tired to do a decent job. When they are on a piece of paper and there is a deadline of sorts attached I feel more compelled to do them. And they don’t take that long….who knew! I’m only a week in to this to do list so we’ll see how on top of it I stay. I am hopeful this will lead me to a more organized, and therefore slightly less stressful, life. If you are interested is trying out this check list with me there are 2 versions below. One has the tasks and titles I use, the other is blank. Click on the link below the picture to open a pdf. Love your system! So glad that you were able to find something that works. 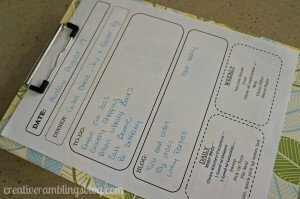 I’m glad that my cleaning post helped to inspire you, thanks for sharing the link. Oh and I love the menu board that you created, that is genius! Thank you Victoria, so glad you stopped by. I love your blog! I love this so much. I’m a total sucker for cute notebooks, binders, etc. My blogging binder was purchased on clearance from Target for $2 so I feel ya on paying full price. 🙂 It’s from the same collection, just a year or so ago. Thank you for the printable. What a great way to keep everything together in one place. I love lists too! You are more than welcome to share. I will be at your party again 🙂 Thanks for dropping by.